Visit my Pinterest inspiration board for Wanton Wager. 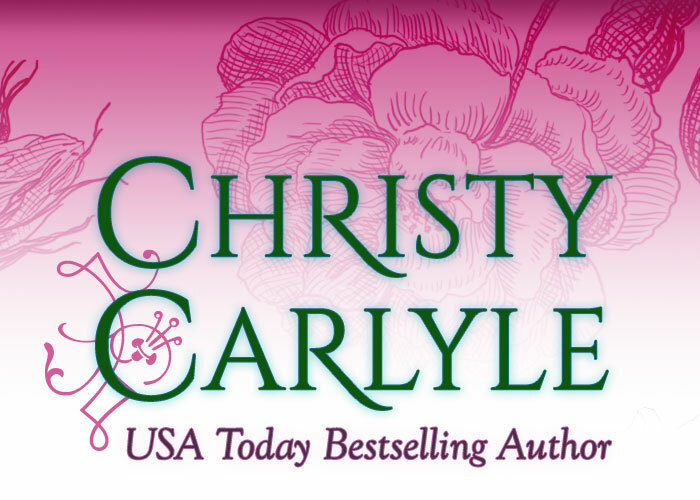 Follow Christy Carlyle’s board Wanton Wager (Whitechapel Wagers, Novella 2) on Pinterest. He has a terrible predilection for death. The thought dominated Captain William Selsby’s mind as he sat in the study of Frederick, Lord Ashdowne, drank the man’s brandy, and studied the collection of stuffed fowl, fox, deer, and boars’ heads decorating every wall and flat surface. The creatures stared back at Will with glass eyes and what he imagined was a glare of resentment for the state he found them in. He had just whipped the aristocrat quite neatly at a game of cards and would have been content to collect his winnings and be on his way, but Ashdowne had cajoled him into stopping for a bit of libation and another round of cards. Flexing his left hand, Will attempted to ease the spike of pain that shot down his arm. Eight years had done nothing to eradicate the ache, though he had grown used to it, learned how to accommodate it. If nothing else, he had become skilled at drowning it, and in liquor far less tasty than the amber fire Freddy continued to pour from a seemingly bottomless crystal decanter. A bird, a fragile little thing in life, now even more delicate in perpetual stuffed existence, gazed at him with a single black bead eye from the table at his side. His thoughts wandered to memories of another eye—the wild, terrified gaze of his war horse, Hercules, as they lay together, both wounded, with Will’s broken leg caught beneath the stallion’s massive body. The ache in his leg began to thrum, as if his body’s memory of the injury was as keen as his mind’s. A decade earlier a display of preserved animals would have escaped his notice. As a medical student he had been more interested in human anatomy and physiology rather than that of animals. But most of all he had been brash and foolish, as heedless of death as he was careless with his life. He had been eager to join the army and even hungrier for battle. Nowadays he wished he could stumble upon his younger self in a back alley and clip the arrogant blighter on the chin. What a fool he had been. What a fool he had become. Will lifted a snifter to his lips and tipped more brandy into his mouth. He savored the burn lancing down his throat, into his chest, the heat swelling out to give him a brief sense of warmth and comfort. Ashdowne had a ferocious grin, giving the impression he had just finished some particularly nasty business and was quite proud of himself. Will knew the man well enough to know “the old bear” referred to Freddy’s father. Something to do with the family’s coat of arms which featured a black bear — up on two legs, claws at the ready, and as ferocious as Freddy’s grin. Though he had never explained it to Will, Ashdowne’s hatred for his father was palpable. It was likely something to do with Freddy’s impatience. When the earl shuffled off his mortal coil, Ashdowne, his first born son, would inherit all the old man’s lands and titles. “Quite a talent.” It was the only response Will could muster, and it wasn’t a lie. Freddy had a definite skill for taxidermy, and Will thought it worth pointing out, since he had never found much else to admire about the man. Spending time with Ashdowne, which he usually only did at the gentleman’s club where they had met, always made Will ill at ease, as if an invisible current of energy he could not itch was crawling across his skin. Freddy flashed him one of his savage grins, managing to look more self-satisfied than usual, and stood to approach the fireplace. He lifted a polished brass poker and tormented the coals in the grate for a bit, stoking bright flames into life. Now they were coming to the point. Finally. Will had only accepted the man’s invitation to his Grosvenor Square townhouse to satisfy Kate, his sister, who spent far too much time urging him to get out into society, to visit with friends, to live again. Will was intrigued despite every instinct he had about Lord Ashdowne. Meeting the man’s gaze, Will lifted an eyebrow, urging him to go on. Ashdowne grinned, more knowing than fierce, and settled himself in the wingback chair adjacent to the fire and across from Will. He took time arranging his limbs, crossing his long, slim legs and smoothing his palms over the intricately woven antimacassars on the chair’s arms. Will choked on the swig a brandy and lifted a hand to his mouth as he coughed and swiped the potent liquid from his lips. His voice was husky when he could find the breath to reply. It wasn’t worth it. Whatever money he might win from besting Ashdowne at cards, it was not worth being subjected to the man’s salacious assumptions, nor his pity. And it was the pity that stung most intensely. He had read it in so many gazes in the last eight years, and he still saw it there in his sister’s eyes nearly every day. He had left Afghanistan with a shattered leg, but it had not affected his ability as a man. The enemy had attempted to cut off his arm, not his manhood. The truth stung too. The truth was he had been without a woman for the past eight years. When he’d returned from the war and learned that Emilia had married during his absence, he had longed—for just a moment—for death. He had wished to join Hercules in whatever existence or nothingness lay beyond the veil of life. Hercules should have been spared. God knew the beast would have gone on to be useful, valiant and ever brave. Will had heard of Ashdowne’s betrothal. Kate took an uncharacteristic interest in aristocratic tittle tattle and was a devoted reader of several scandal rags. She even claimed to have met the Bramson woman at some lady’s society meeting. Freddy literally waved off his well wishes, raising his hand in a dismissive gesture. Kate’s newspapers carried daily stories regarding the horrific attacks on several women in the East End district. The details were so disturbing she would set the papers aside, but she always returned to read them, sometimes recounting bits to Will aloud, her voice tinged with sadness and a thread of fear. Sporting was what the young men of the club called it when a group ventured into Whitechapel or another East End district to drink, gamble, carouse, and pursue every sin available for a handful of coins. Will had joined in only once and woken the next day in an opium den in Limehouse with no memory of how he’d got there, barely a memory of his own name. The experience, the loss of control, had soured him on ever attempting such a venture again. Frederick was still talking, though Will missed some of what he’d said. The man was loathsome. Will stood to leave, the stiffness in his leg slowing his progress and creaking in protest. He grasped his cane and leaned on it more heavily than he liked. Will turned and tried to take a step toward the door of Ashdowne’s study but realized his leg had gone numb while he sat. He waited until the sensation of pins stuck in his flesh began to ease. Will tipped his head back and closed his eyes. Flashes of the illustrations from Kate’s newspapers whirled in his mind. He could not imagine the kind of poverty that would force a woman to sell her body so she might earn doss money for one night’s shelter. Could he protect this young woman from the same fate? Yet what kind of a monster would he be to expect her to lay with him for such protection? Will glanced back at the man and realized Ashdowne was not only distasteful but pitiable. Yet Ashdowne seemed to have no notion of how he appeared to Will. He still stood tall and proud, wearing a self-assured smirk on his narrow mouth. The air left Will’s lungs as if Freddy had punched him. He ducked his head and took a deep breath. He could not recall if Ashdowne had ever met Emilia. Will did not think so, and yet the gleam in Ashdowne’s eyes told Will the man knew he had found his mark. Emilia had red hair, and she was the only woman Will had ever cared for, ever considered marrying. She had rather famously broken their engagement to marry a duke, one of the most impressive catches of the season that year. The year he had returned wounded and broken from Afghanistan. And now there was a red-haired woman in Whitechapel, a woman who was about to lose her protector, her security. The soldier in Will wanted to protect her, the man in him wanted to meet her, to see the loveliness that Ashdowne touted. And though he would never admit it to the man smiling at him wolfishly from across the room, Will harbored a sliver of hope that she might offer him what she had given to Freddy. Comfort, he had said. Will would give anything, everything, for one moment of a woman’s comfort. “Shall we play for her? Forget the winnings you stacked up earlier. One last round and winner takes all.” The man had no scruples whatsoever. The thought of Ashdowne touching this woman again, whoever she was, made Will’s stomach turn. He had enjoyed beating Ashdowne in their first round, but this time it wasn’t about besting him. It was about doing anything he could to prevent the man from winning.